Monsanto plans to halt lobbying for its genetically modified plant varieties in Europe due to low demand from local farmers, a representative from the US agricultural giant told a German daily. "We are no longer working on lobbying for more cultivation in Europe," Brandon Mitchner a representative for Monsanto’s European branch, Tageszeitung, said in an interview set to be published on Saturday. 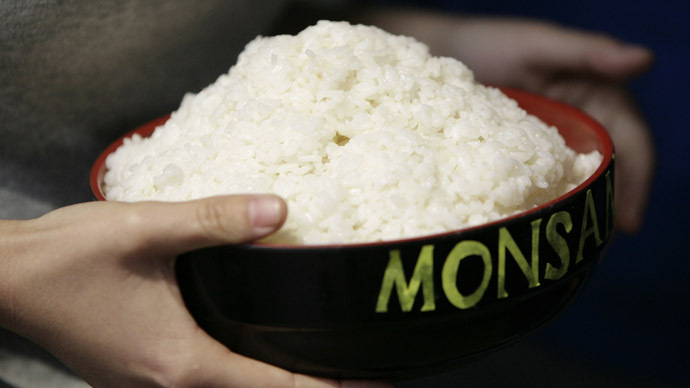 "Currently we do not plan to apply for the approval of new genetically modified crops. 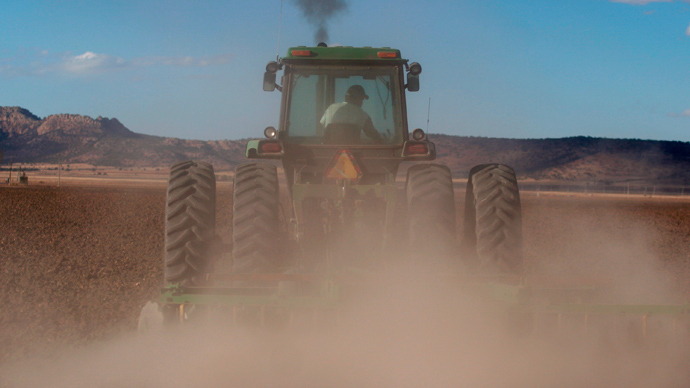 The reason is, among other things, low demand of the farmers,” he continued. A spokeswoman for Monsanto Germany, Ursula Luttmer-Ouazane, admitted that Monsanto recognizes that GMO crops were currently not embraced on the European market. "We've understood that such plants don't have any broad acceptance in European societies," Luttmer-Ouazane said. “It is counterproductive to fight against windmills," she added. A spokesperson for the German Ministry of Economy and Technologies described the move as an “entrepreneurial decision” which needed no further comment. The ministry added, however, it has long made its opposition to gene modification technologies known. "The promises of the GM industry have not come true for European agriculture, nor have they for the agriculture in developing and emerging economies," the ministry said in a statement. Eight national governments in the European Union have already banned Monsanto's MON810 maize and other forms of GMO cultivation in their countries under an environmental protection provision known as the 'Safeguard Clause'. Particularly fierce protests in Germany prompted the government to introduce the measures in 2009 due to concerns that such cultivation could lead to ecological degradation. 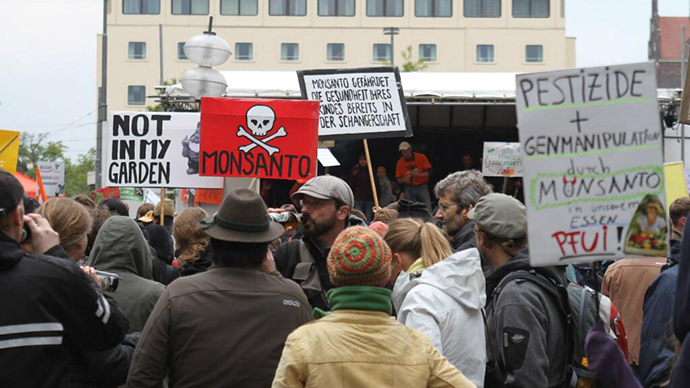 Monsanto’s rivals, such as Bayer CropScience, BASF and Syngenta, had by and large pulled out of the German market because of large-scale public opposition, the German daily reported. Austria, Bulgaria, France, Greece, Hungary, Luxembourg and most recently Poland are among other EU member states enforcing the ban. In April, Italy joined the ranks of EU states looking to ban the cultivation of GM crops on its soil. The announcement comes amidst a series of recent public relations battles that have brought the US firm considerable worldwide attention. On Wednesday, the US Department of Agriculture (USDA) said it had conducted genetic tests on wheat from an 80-acre farm in Oregon this past April. The tests revealed the wheat was an experimental variety created by Monsanto that had never been approved for sale. 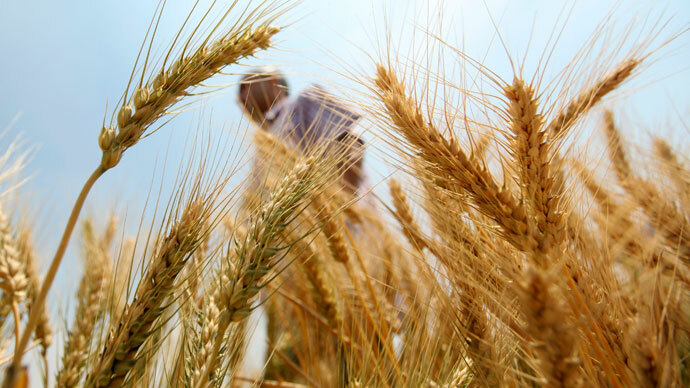 The discovery prompted Japanese authorities to cancel part of a tender offer to buy US western white wheat and have suspended imports of both that variety and feed wheat, while several other large importers of US-wheat throughout Asia said they were closely monitoring the situation. The European Union for its part said it will test any incoming shipments, with plans to block those containing GMO wheat. 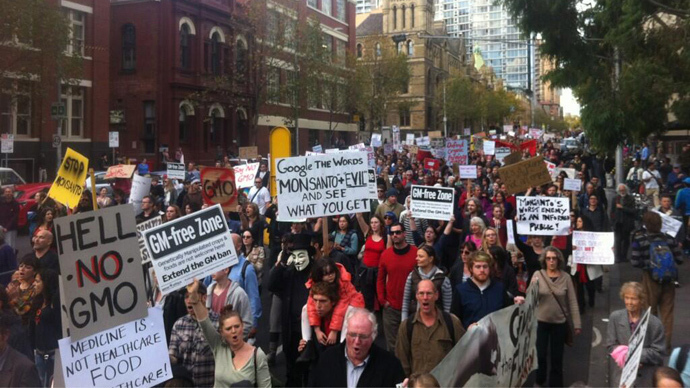 The USDA announcement followed a massive, global "March Against Monsanto" held on Saturday that saw demonstrations against the Missouri-based firm in 52 countries. 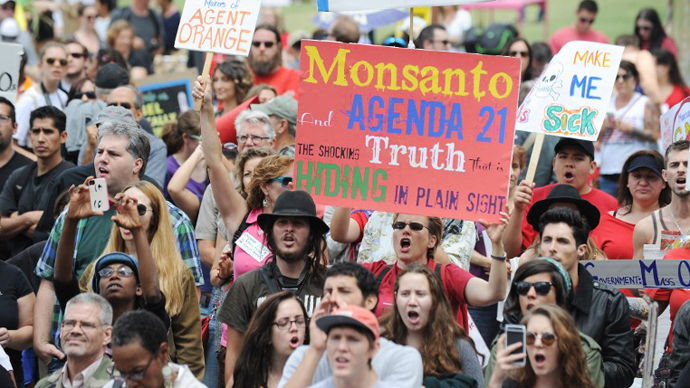 Organizers for the global protest said around 2 million protesters showed up at rallies being held in 436 cities to protest against the seed giant and the genetically modified food.